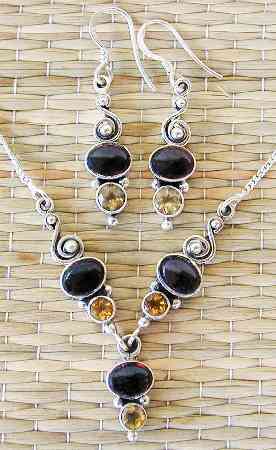 3 piece faceted/cabochon stone combo sterling silver necklace. Available in Rainbow Moonstone with Garnet or Garnet with Citrine. Shown with matching earring E160.